Located on Golden Gate Point, Alta Mer condos overlook Sarasota Bay, and some of the higher units even offer views of the Gulf of Mexico. Owners of these exclusive luxury condominiums are privileged to private garages, secured building entrance, private elevator, rooftop terrace with outdoor kitchen and a grilling area. Each residence in Alta Mer expands an entire floor in this boutique building featuring just 6 residences. Built in 1996, the Alta Mer condo towers is conveniently located to downtown Sarasota, the bayfront marina, and just over the John and Mable Ringling Bridge, is St. Armands Circle. Residents enjoy fishing boating, shopping, theater, golf, as well as the beautiful Sarasota beaches -- all within minutes of their Golden Gate Point home. 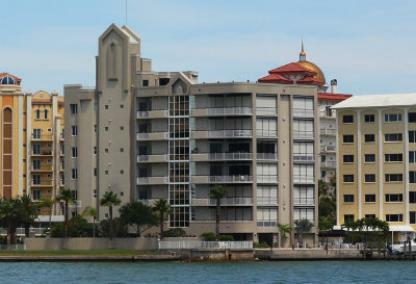 Below are the listings for all Alta Mer condos for sale in Downtown Sarasota. Our website is constantly updated with the newest properties to hit the market. If you have any questions, Contact our team for more information or a tour of downtown condos. One of our experienced downtown Sarasota agents will reply promptly.